Purpose built indoor dog training arena situated about a mile from junction 11 of the M40 just one hour from London, Birmingham, Bedford and Gloucester. It is accessed via a well lit tarmacked drive. The Dog Barn has its own tarmacked car park which comfortably parks 35 vehicles. At weekends a further 35 vehicles can be parked in the adjacent tarmacked car park by prior arrangement. 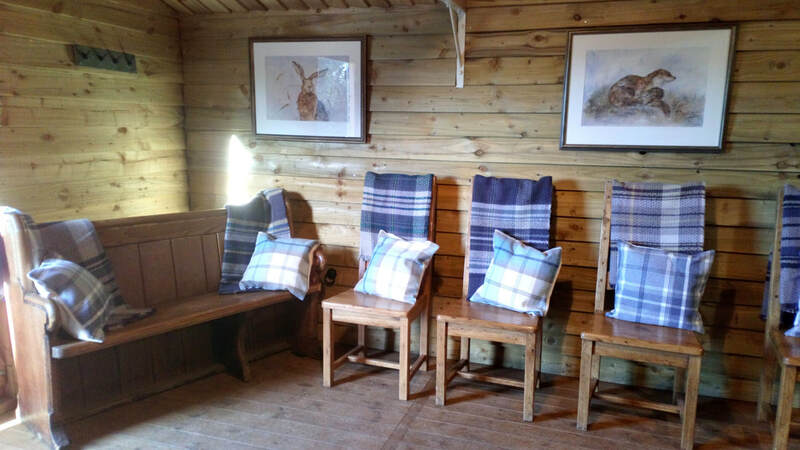 The Dog Barn is available for events, individual, private and group hire. Training courses are also available for dogs of all ages and at all levels including basic and advanced Obedience and Agility. Our facilities and equipment are constantly maintained to keep them in top class condition. A lovely comfortable space available for hire for lectures and presentations (seats an audience of up to 24) or for teaching small groups of dogs, physiotherapy, massage or 1:1 sessions. Its facilities include a screen, projector and speakers, kettle, urn, sink and heating. 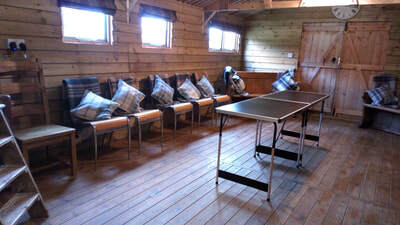 Can be hired together with the dog barn, for example as a lunch venue or lecture room, or on its own. Booked without the barn the hourly rates apply See our Prices page for hire charges. 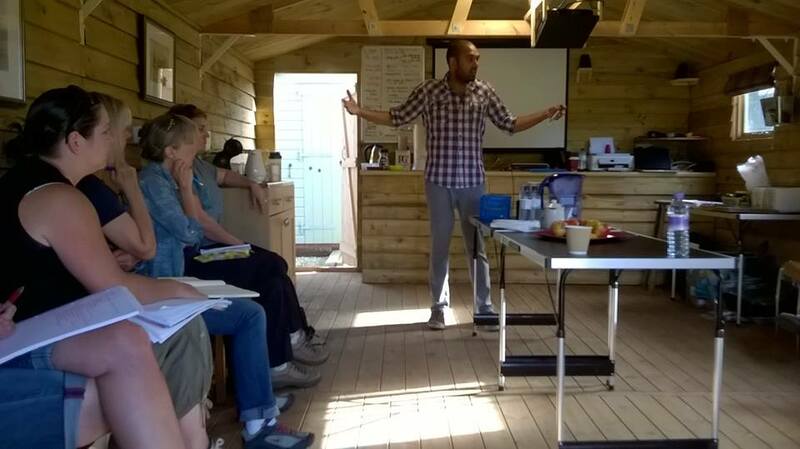 "I found the Course to be truly the best I have EVER attended. I was so fired up by it that, although the change-over in my classes is going to take a little time, I am already employing the ideas in my Home Visits and One-to-Ones. Very successfully too!" We are so lucky to have Dave Munnings training here at The Dog Training Barn. He recently became the first handler in the world to own and train four large dogs to UK Agility Champion status and was a Crufts Championship winner this year. See his courses and find out how you can benefit from his expertise and experience. We are delighted to have received our new set of timing equipment. This is a really neat, quick and easy to use battery powered set with a hand-held unit showing the last couple of times recorded for a sequence. The Time it Perfect set is available now to add to your Barn hire bookings. Please see our website or email for details. Simple instructions included or view the video to see it in use. Ask for log in details when you visit.